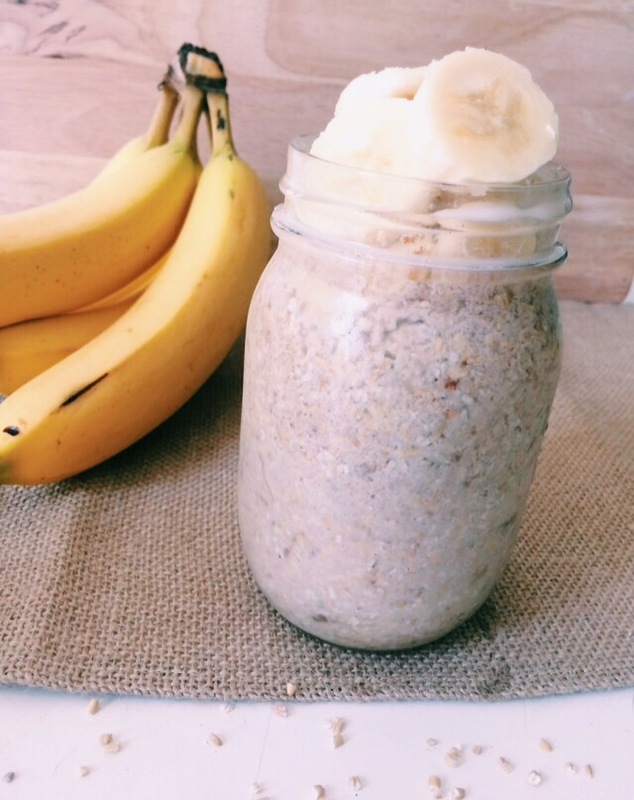 Wake up this winter morning to a comforting cup of Bananas Foster Overnight Oats! Instead of using the popular regular Rolled Oats, I have used Steel-Cut Oats because it has 0g of sugar, has less calories, and sits lower on the Glycemic Index which lessens blood sugar spikes. Be instantly transported to New Orleans by the familiar taste of Louisiana’s famous Bananas Foster dish! In a sauce pan, heat the sliced bananas with the vanilla and cinnamon for 2 to 3 minutes. Enough for the banana’s natural sugars to breakdown. Then add the honey for another minute. In a jar, add the steel cut oats, flax, almond milk, and bananas together. Stir and store overnight in the fridge. Enjoy hot or cold in the morning for a deliciously comforting breakfast! Add a few more freshly sliced bananas on top before enjoying for more banana goodness.